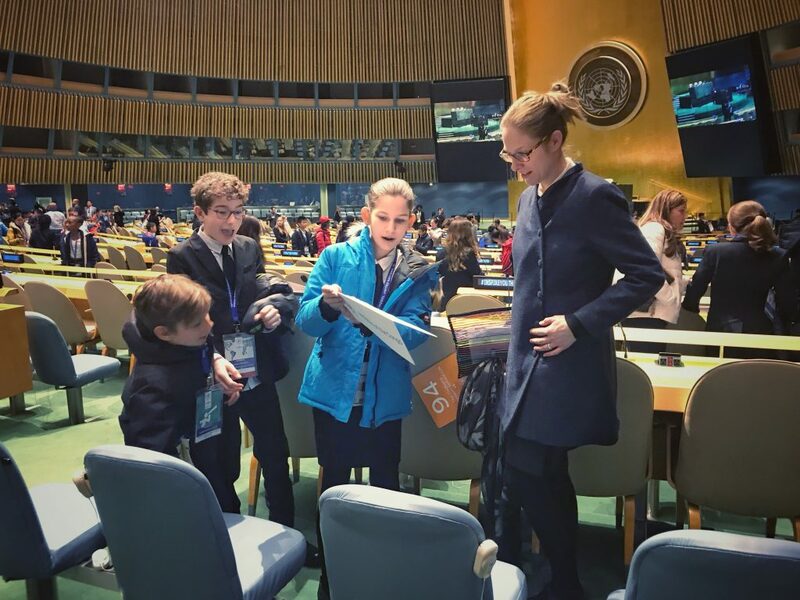 To watch, go to webtv.un.org and look for “Montessori Model United Nations Live Stream” in the schedule on the right-hand side. 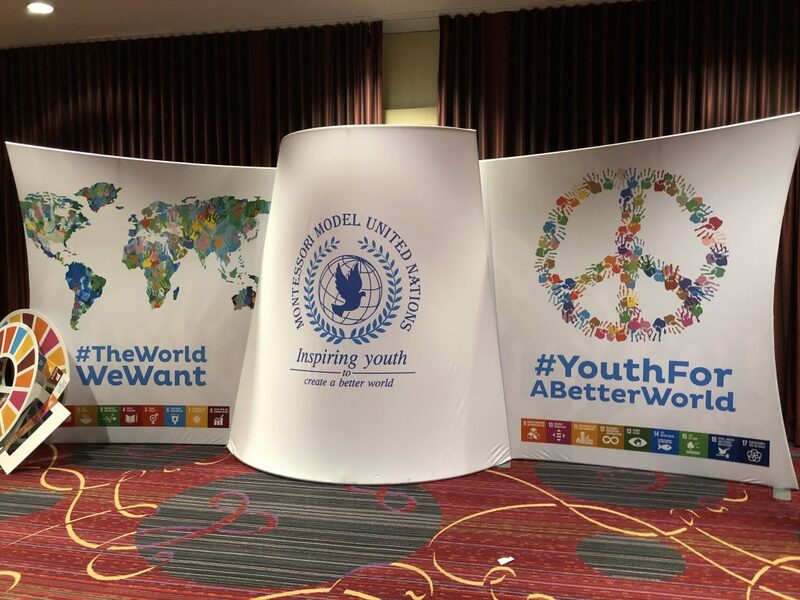 WEDNESDAY Our Model UN contingent of five delegates plus one observer arrived in New York today. Tonight was the opening ceremony and our two flag bearers for Congo Brazzaville did a marvelous job. 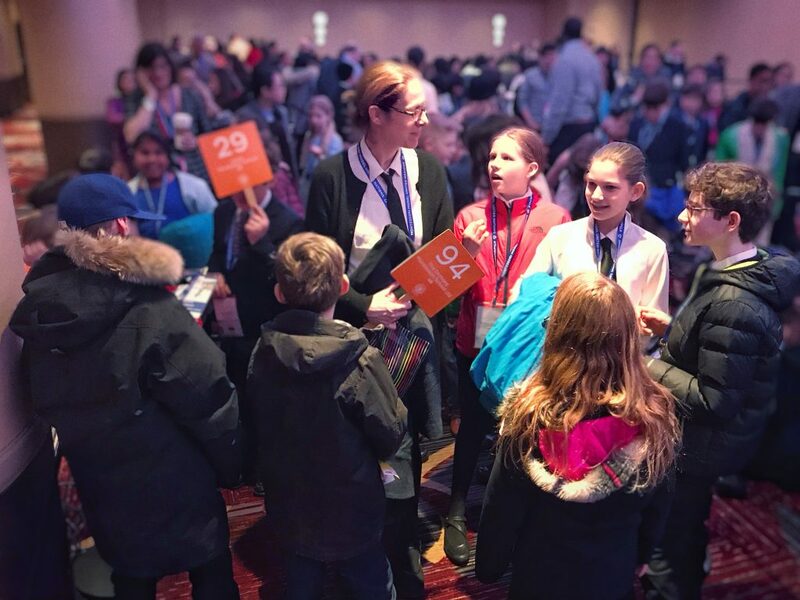 UPDATE THURSDAY: This morning, the children went into their committee sessions at 9am to deliver their opening speeches on Peaceful Uses of Outer Space, Disposal of Nuclear Waste and Climate Change. 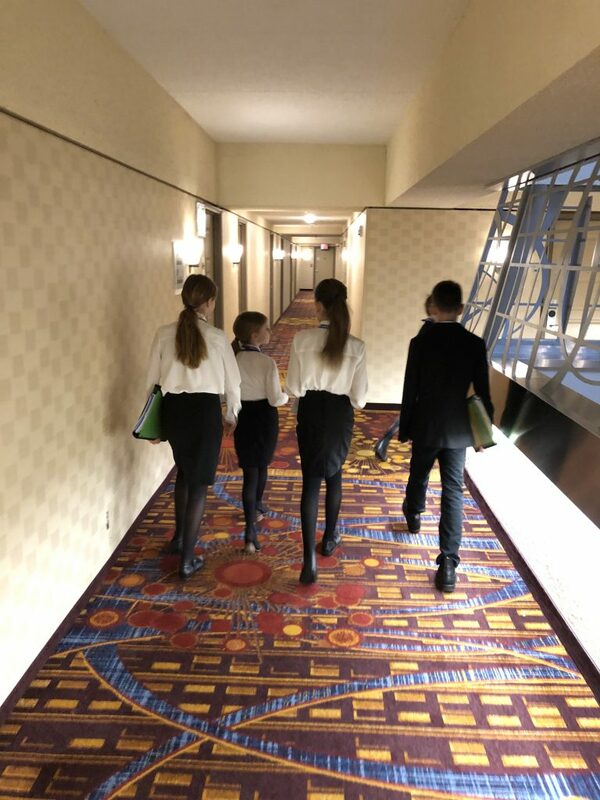 The five are divided onto three committees which means that one of them is on her own and they have six papers among them to present over two days. They were all nervous but the speeches went flawlessly. When we broke for lunch, they briefed me on what had happened and it looks like at least one of our groups has a solution that will get sponsored and drafted into the final resolution to be read aloud in the UN General Assembly on Saturday morning.Two of them managed to get into the scrum to get line items onto draft statements on Disposal of Nuclear Waste and Disarmament. Not a bad showing for first timers! 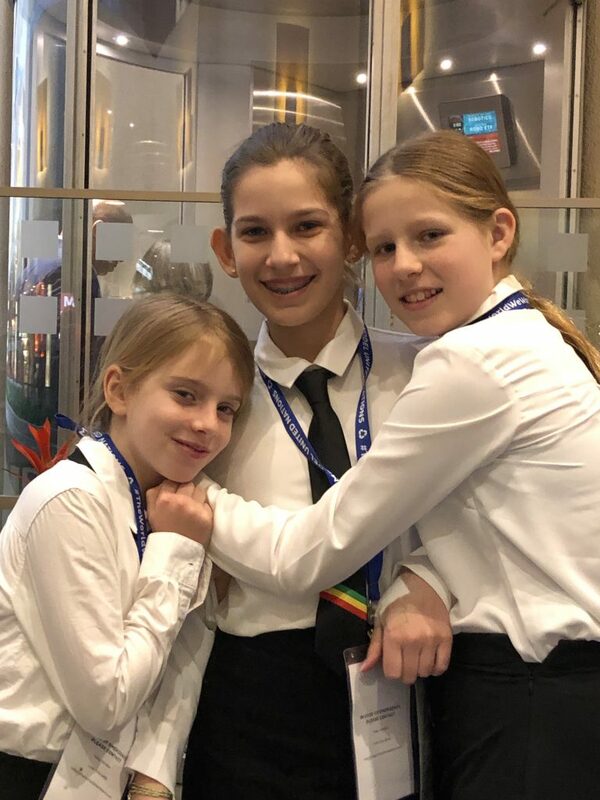 UPDATE FRIDAY: Today was a brilliant day at Model UN. 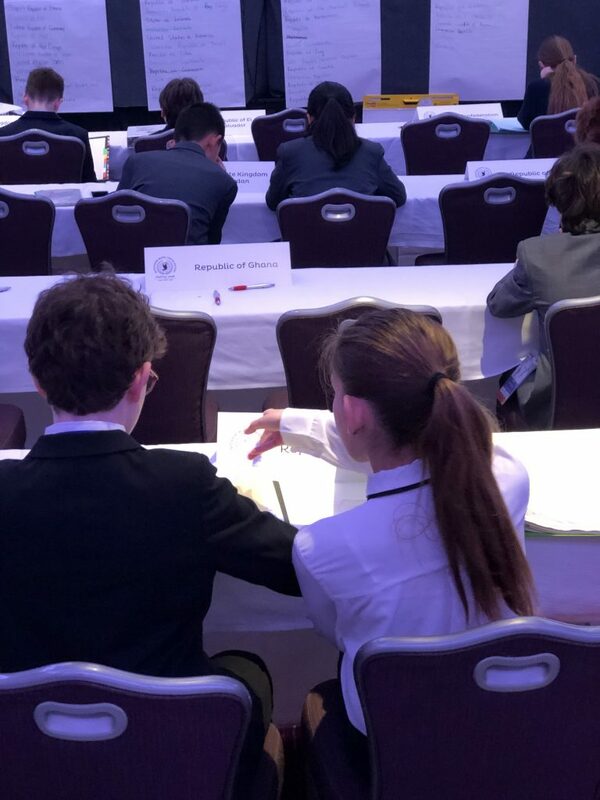 One of our teams led a discussion on the drafting of a resolution on Decolonialization while the others contributed line items on the topics of Biological Diversity and Disarmament. The two speeches given by our group today were bold ideas delivered with confidence. Tomorrow morning we attend the closing ceremony where the final drafts are officially recognized. It’s broadcast live on the UN’s website tomorrow. UPDATE SATURDAY: The last day was a day of big emotions. 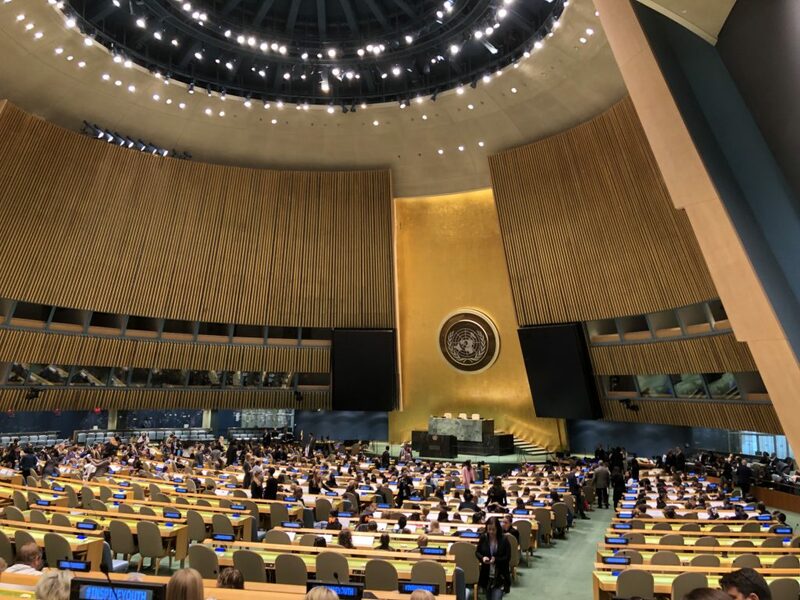 The final statements were read in the UN’s General Assembly and either resolved by consensus or vote (roughly 85% were by consensus which mirrors the UN’s usual rate). The children were congratulated by the Secretary General, two ambassadors and the Director of Unicef. After, we went for lunch and the children were at turns triumphant, disappointed it was all over and angered by an injustice they felt they had suffered in one of the committee sessions earlier in the week. My admiration for the their work on researching their country and their topics, preparing themselves for their position papers and speeches, their forays into solving difficult situations with diplomacy and the way they conducted themselves in general is profound. They are already planning to return next year.